Jason Tate of Mauldin came just 21 feet from winning $1 million in Saturday’s finals of Laurens Electric Cooperative’s Million Dollar Hole-in-One Shootout at Eagle Zone golf center on Pelham Road in Greenville. 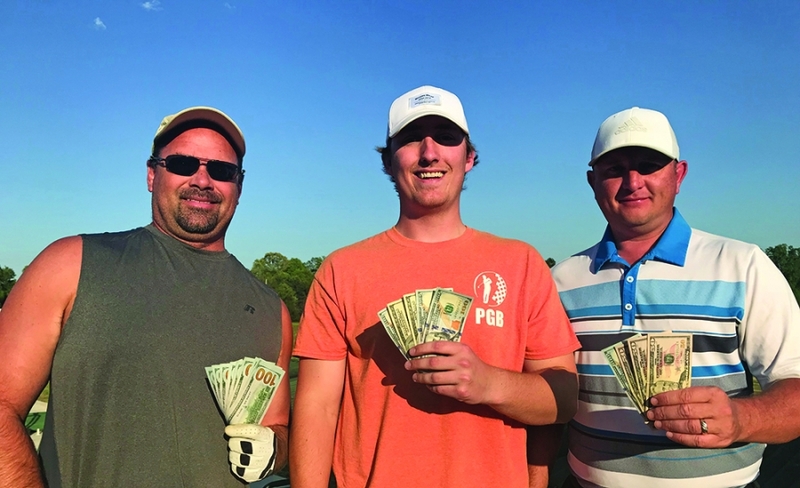 Tate won $1,000 for the closest-to-the-$1 million-hole shot. C. W. Crawford placed 2nd and won $500, followed by Brandon Fowler, who took home $250. Sponsored by Laurens Electric Cooperative, the Shootout included two qualifying days during which golfers could earn entry into the Saturday finals, where a hole in one would have been worth $1 million!